Kampala, Uganda | THE INDEPENDENT | Secretary Generals of all political parties with representation in Parliament will meet this Friday, to determine the fate of next week’s Inter party Organisation for Dialogue (IPOD) summit. The summit, composed of presidents of political parties with representation in parliament is supposed to take place on Wednesday, December 12, at Speke Resort Munyonyo. This is supposed to be the first summit of IPOD since its creation in 2009. However, the summit hangs in balance after Forum for Democratic Change (UPC) and Democratic Party (DP) sent signals that they will not attend the meeting, backtracking on commitment made earlier. President Museveni, is expected to attend the summit in his capacity as the head of the ruling National Resistance Movement (NRM). 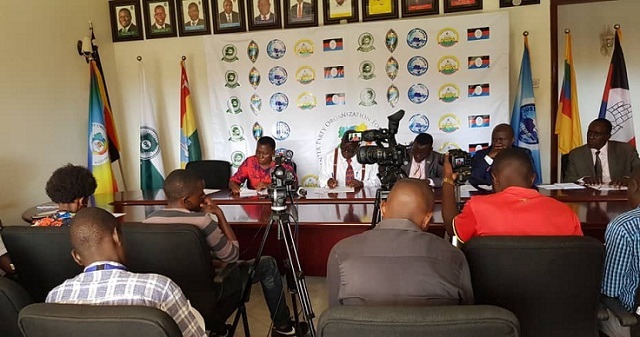 Lawrence Okae, the Chairman of the Uganda People’s Congress told URN that they have not officially received withdrawal communication from FDC and DP. UPC is holding the rotational chairmanship of the platform which is supported by the Netherlands Institute for Multiparty Democracy as an avenue to foster a well-functioning, strong and vibrant multiparty democracy in Uganda. Okae said that the IPOD council made up of secretary generals of member parties will meet on Friday to determine the way forward. The summit discussion will be centered on four thematic areas, according to an agenda released last week; strengthening political parties to enhance their relevancy and effectiveness, consolidation of constitutional and electoral reforms, promotion of inclusiveness in national politics especially in relation to role of youth and women in politics and strengthening democratic governance, human rights and observance of rule of law. FDC chairman Wasswa Biriggwa on Monday said the party may not take part in the summit, arguing that there is no business for presidents to meet. “I want to put it this way, as I speak now, the decision to participate is headed towards not participating and I will say the reason why; the reason is, the summit brings together presidents to agree or to stamp on something that has already been agreed. As far as we know, we have not been engaged in a discussion at a lower level which necessitates presidents to meet,” he said. DP Secretary General Gerald Siranda equally made the attendance commitment on behalf of the party. However, DP spokesperson, Kenneth Kakande yesterday said they are not interested in sitting on the same table with NRM because the ruling party has lost the moral authority to dialogue. In a statement dated December 5, 2018, UPC spokesperson Michael Osinde Orach said the party is trying to convince other members to attend the summit. “We are going to engage with other political parties in IPOD to try to ensure that the long awaited summit takes place, thus constructive dialogue that will witness peaceful resolution of political conflict,” the statement says.